From designing commercial trials to track-and-trace management, cloud computing offers several compelling use cases for pharmaceutical companies. Applications delivered in the cloud and paid for as a subscription are enabling businesses to enjoy the benefits of enterprise solutions, without having to dedicate specific resources or significant cash flow to a single tool. “The industry is definitely on the growth side of cloud computing services,” said Ponemon Institute founder Larry Ponemon. Let’s take a look at some of the applicable use cases for pharma today. Cloud computing can be a major help in designing clinical trials and supply chain, to cite two examples. “One of the big challenges is trying to locate enough subject patients in a certain area, and a lot of that info may be held by different organizations, or specific practices,” Townsend said. Much of that information can be hosted on the cloud, which makes it easier to achieve the number needed for a particular study. “On the commercial side, in the area of life science supply chain, there’s a number of regulatory activities going on in the drug supply chain, where product identifiers need to be linked to specific shipments,” Townsend added. He noted the Drug Quality and Security act mandated every drug shipment needs to have an independent product identifier, and that ID needs to be stored in a database accessible to everyone by regulators. 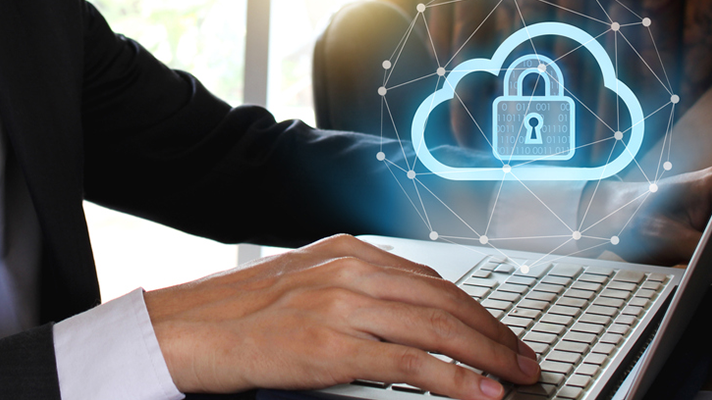 “Pharmacy chains, hospital networks, all those folks need to have access to that same database, and without cloud that system would be extremely difficult to access,” he explained. Ponemon said the pharmaceutical industry could use cloud computing as an integral part of their business model, developing new therapies through a design process combining artificial intelligence and cloud computing to identify and deliver novel active molecules. They can search vast virtual chemical libraries to identify these molecules, with the computing power available on the cloud ensures that the results can be obtained quickly.